The 2019 Jeep Cherokee and the 2019 Ford Escape are two of the most well-known members of the crossover SUV family. These two vehicles have an almost identical exterior design, and if you are looking into buying one, it may be difficult to choose between the two. Check out our comparison below to find out which one of these vehicles is right for you. 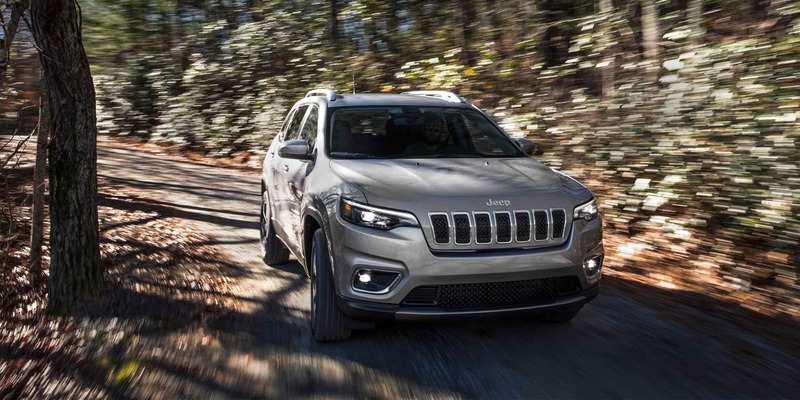 The 2019 Jeep Cherokee is one of the more fuel-efficient crossover SUV vehicles on the market today, receiving up to 23 city / 31 highway miles per gallon. For this vehicle, there are three different engine configurations to choose from. The standard engine is a 2.4-liter four-cylinder engine which is rated with a horsepower of 180 and 171 lbs.-ft. of torque. The second engine to choose from is a 3.2-liter V6 engine rated with 271-hp and 239 lbs.-ft. of torque. The last engine configuration is a 2.0-liter turbocharged engine rated with a horsepower of 270 and 295 lbs.-ft. of torque. Paired with each engine option is a nine-speed automatic transmission. The 2019 Ford Escape is available in three engine configurations. Starting with the base level trim is a 2.5-liter four-cylinder engine rated with a horsepower of 168 and 170 lbs.-ft. of torque paired with a six-speed automatic, front-wheel-drive transmission. The second engine option is a turbocharged 1.5-liter engine rated at 179-hp and 177 lbs.-ft. of torque. The top-tier trim level has the Escape sporting a 2.0-liter four-cylinder engine rated with a horsepower of 245 and 275 lbs.-ft. of torque. The 2019 Jeep Cherokee features a truly fully-loaded set of features and equipment. The Cherokee is fitted with features such as Bluetooth connectivity, Apple CarPlay, Android Auto, a six-speaker sound system, multiple USB port, a navigation system, HD satellite radio, and a 7-inch touchscreen monitor in the dashboard. 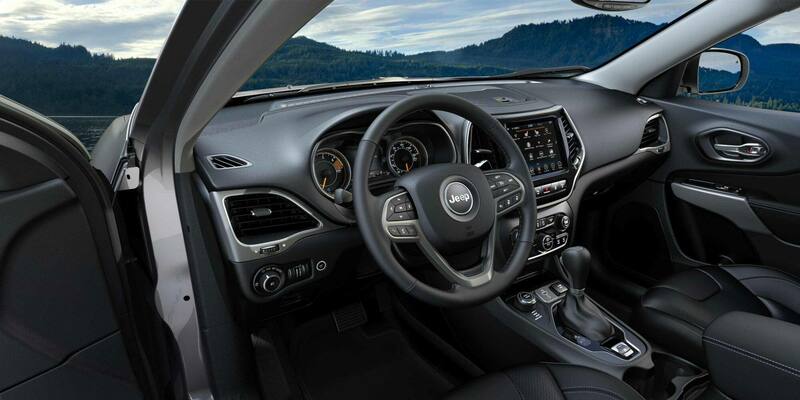 Additional interior design features contribute to an extremely comfortable driving experience like a height adjustable front seat, a rear-view camera, cargo storage compartments, multiple upholstery options, remote start, a heated steering wheel, and a driver's information display. The 2019 Ford Escape is a reliable option for drivers who seek a crossover SUV that supplies the basics. Standard features included with the 2019 Ford escape include a 4.2-inch monitor, a rear-view camera, a CD player, one USB port, heated front seats, and the Sync Connect app. Additional standard interior design features include sound-reducing window glass, key-less entry, rear privacy glass, and rear air vents. When upgrading to higher-tier trim levels, you will find more up-to-date features such as Apple CarPlay and Andriod Auto. If you are looking for a Crossover SUV that has it all, we suggest the 2019 Jeep Cherokee. 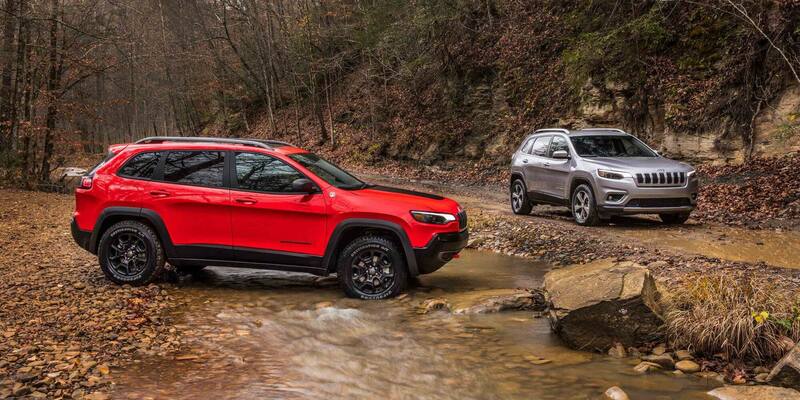 While the top-tier trim levels for both the 2019 Escape and the 2019 Cherokee are almost-identical, the 2019 Jeep Cherokee features a much more user-friendly and well-rounded set of features and equipment.